Hi. I´ve been working on the tv and cinema advertising field since year 2k. I´ve had the opportunity to work with different 3D and compositing software such as Softimage, 3DsMax, Flame, Lustre, Nuke, Modo and other stereoscopic production software. "I am a 3D animator and VFX compositor, all though I really like to work as a generalist with emphasis on areas like animation, rigging and texturing. I also like technical direction". I graduated with a "3D Master´s degree in animation" at Fak d´art in Barcelona, Spain in 2002. I met Blender for the first time in 2001, and becamed interested when I bought a physical copy of the "Animation Techniques in Blender" DVD. In 2004 and 2007 I had the opportunity to work branding a Tv broadcast and radio network in Ecuador. Later, I was recruited to work in Panama for an educational videogame for the United Nations and it´s World Food Program in 2008. I´ve been a beta tester for stereoscopic software in 2009 with that year´s recent 3D stereo boom on world wide cinemas. I worked as a technical director on a short stereoscopic movie pilot and trained people to be animators, riggers and texture artists in the course of 8 months in 2010. I also realized the huge potential for educational videogames, so in 2012 I developed an educational videogame to teach basic algebra called "Aliens vs Pami" on Android based on propietary characters. 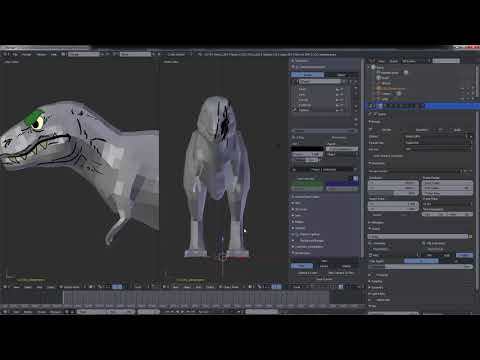 I´ve created a video tutorial series on "How to change Blender´s UI" which includes topics on how to download the source code, change the icons, implement your own custom meshes and change the theme and menus using python addons. I´ve became strongly interested in Blender since version 2.78 already showed how PBR materials and the principled shader by Disney were going to be a strong point to Blender´s workflow. I´ve done specialized set of training tutorials about Blender´s viewport, grease pencil and simulations. I´ve been combining the use of Blender with openshot, and Natron for compositing. 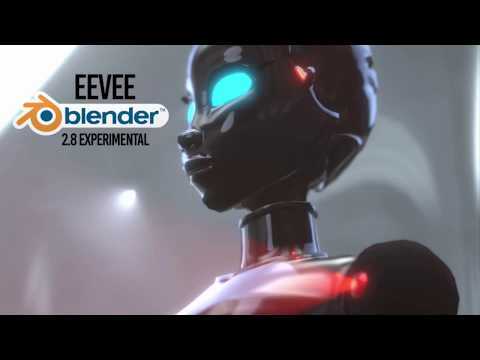 Recently I gave a conference about Blender 2.8 realtime engine "EEVEE", there is a demanding interest to create #InstantRenders. Therefore, I´d like to train CG artists migrating from other 3D applications and Studios in the use of Blender with the official certification from the Blender Institute. The following members of the Network share a professional connection with David Rivera. A connection is a way of endorsement, stating they work or have worked together in the past.